Any person under the age of 16 riding a bicycle, as an operator or passenger, must wear a protective bicycle helmet. 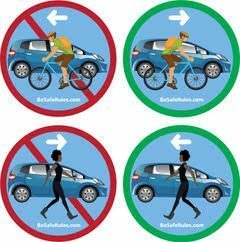 Both bicyclists and motorists should be educated on all of the Massachusetts Bicycle Laws. If you’ve been involved or injured in a bicycle or pedestrian accident, contact Steven or Paul Aiken at the Law Offices of Aiken & Aiken, P.C. in Hyannis for a Free Consultation. In a Pickle? Need a Lawyer?